Hunting for an outdoor hidden motion activated camera without false alarms from wind, sun, light and snow? What is the best outdoor motion activated spy camera for home? What features to consider before purchasing an outdoor motion sensor security camera? How to reduce false alarms of your motion detection security camera? Where to buy and place the hidden outdoor motion sensitive camera? Some of you may be interested in a dedicated camera motion sensor light for outdoors, or the wireless motion nature camera to catch animal movements outside. Read on to find the critical information you need for the best picks. If there are more you are interested to know about the hidden outdoor motion activated cameras, leave a comment down below and I’ll get back to you soon and add it to the content. A hidden motion activated camera is a small sized camera that records when it detects movement. 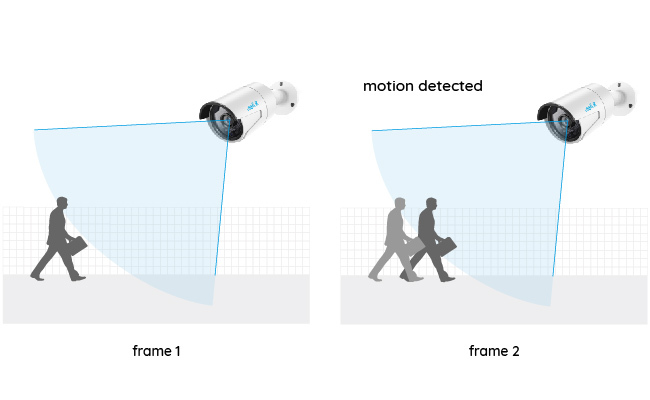 Software-based motion detection: The software based motion activated cameras detect motion by comparing pixel changes between successive frames. If a human or animal passes by, the different pixels will be counted and the software inside will trigger motion alerts. PIR sensor-based motion detection: The PIR motion activated hidden cameras can detect the infrared body heat. So when a warm body (like a burglar) passes by, the ambient infrared energy levels will change rapidly and set off the motion alerts. So you may ask: What’s the farthest PIR distance of security camera? It varies between PIR motion activated CCTV models. 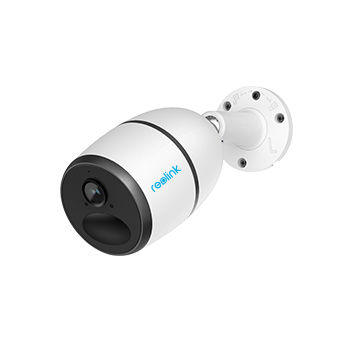 The quality ones like Reolink Argus 2 can hit up to 30 feet long range even in 0 Lux conditions (in complete darkness), so that you can use it to watch your front door, backyard, driveway, garage, etc. day and night. PIR motion activated hidden cameras are mostly battery powered IP cameras, which will wake up and record in less than a second when motion is detected. So you’ll know all that matters even when you are not there, like the package delivery, break-in or attempted break-ins. 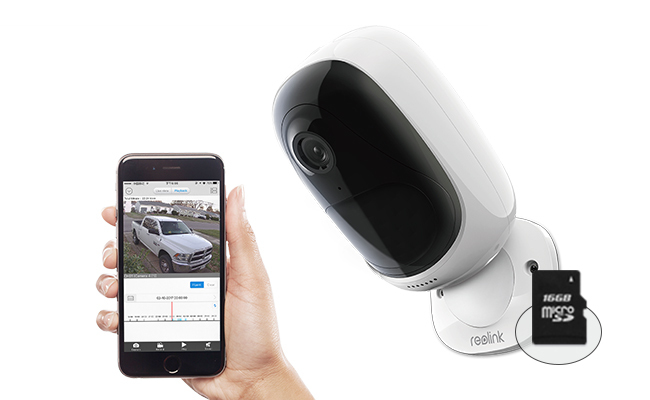 And Reolink Argus 2 is the one with industry-leading PIR motion performance. Well, the software-based motion sensor cameras are mostly traditional IP cameras that you could normally see in the neighborhoods. 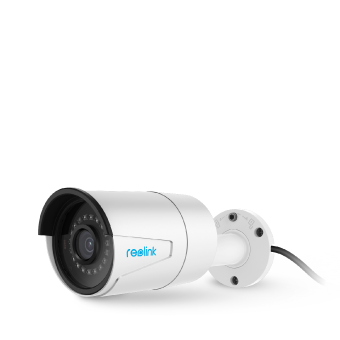 Usually, these cameras enable continuous recording as well as motion detection mode with pre-recording (3-5 seconds) and video delay (as your schedule) to capture the whole event. And Reolink RLC-410 is the best budget pick of this kind. A lot of features may occupy your mind in choosing a best outdoor hidden motion activated camera, like the mini body, WiFi connection, SD card supported, sound enabled, and most importantly, accurate alarms. Feel confused or get lost in the endless choices? Actually, there are motion sensor spy cameras to meet all your possible needs. Click here for a quick decision, and read on if you want to learn more details about every specific feature. Wires are a dead giveaway to your outdoor motion activated hidden camera, and the easiest fix would be getting a wireless camera in the first place. But remember that the wireless doesn’t mean 100% wire free – you still need one cable for power. 2. Choose the dual-band Wi-Fi security cameras, if possible, to avoid signal loss and interference. 3. Remember to change the initial password to reduce the risk of being hacked. Want to get rid of all the annoying wires, and hide the motion sensor camera wherever you want indoors and outdoors? The battery operated motion activated spy camera is what you need. Just put in batteries, it will start working. Without wires restriction, you can place the motion activated hidden camera at any place and move it to spy on another spot freely if you want. It saves your time and camera installation fees. Bump: As I put it before, battery powered outdoor motion sensor cameras, including the Reolink Argus 2, feature accurate PIR motion detection. Actually, this kind of hidden camera is born for motion detection – they will wake up and record once the motion event is detected to save battery life. Worried about the privacy issues of cloud storage? Or you simply don’t want to pay the monthly fee for it? Either way, the outdoor motion activated hidden camera with SD card would well settle your needs. Plus, it’s very handy and convenient. But you may wonder how long a 16GB or 32GB SD card of the motion sensor camera can record. That totally depends on your monitoring environment. 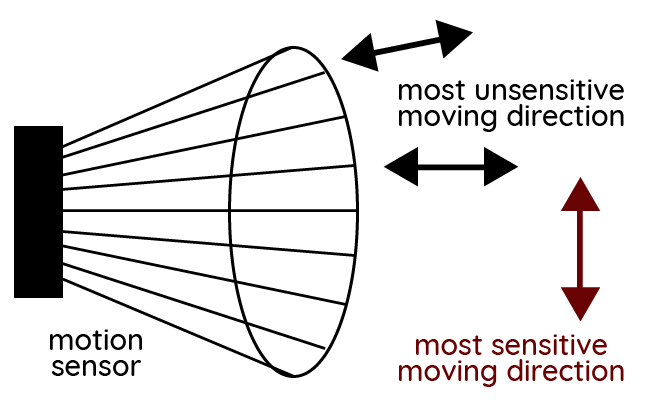 Technically, a motion sensor camera with 32GB SD card can save up to 400 motion events for weeks even months recording, according to this formula. However, there is NO need to worry about the recording space and you DON’T need to delete CCTV footage to clear the storage space – The old files will be overwritten automatically when the SD card is full. Bonus Tips: It’s advised to set the motion activated security camera with SD card to the motion detection mode. If you want to spy on things continuously or without Internet, get an NVR as the motion detection recorder to work with it, which offers you larger storage space. 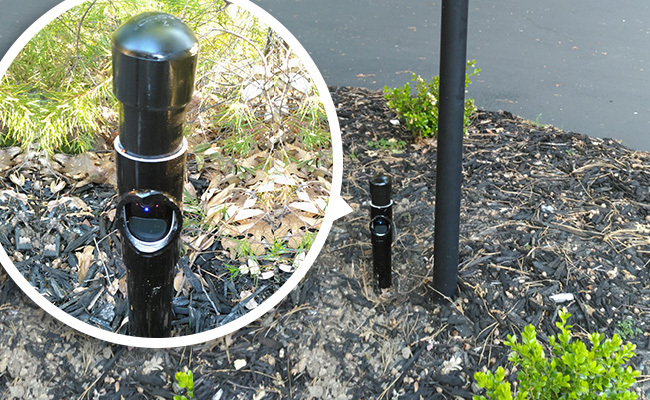 Night vision is a must-have feature for outdoor motion activated hidden cameras. Just think about the burglars, intruders, thieves and drunken man hanging around the street. With the night vision enabled motion activated spy camera, you will be alerted by the siren instantly when dangers occur, get clear video evidence to hand to the police, and even warn the intruders verbally if your hidden camera is 2 way-audio enabled. How to judge whether a motion sensor hidden camera have real & good night vision? Starlight sensor is a good indicator to promise great clarity and details even in 0 Lux (completely dark) conditions. And if possible, choose a PIR sensor CCTV instead of the motion sensor camera with light in order to see the motion events clearly. For outdoor motion activated hidden cameras, weatherproof is an important feature to consider if there is expected rain, snow or strong wind in your desired installation place. A simple way to get rid of all your worries is to get the motion activated cameras with IP65 or IP66 (What is IP66) weatherproof rating. So you are keen to wildlife, and want to catch the movement of the hummingbirds? Or just want to figure out who secretly visited your house and left their footprint around? In either case, an animal motion detector hidden camera definitely tops your list. With the spy camera connected to your phone, you could just sit in your room and check animal clips anytime and even do a video live for your raccoon friends on Twitter. No Internet available? Try the cellular motion activated camera. This type of wireless motion nature outside camera can work with NO WiFi and No wires. Some of these CCTV, like Reolink Go, also offer an add-on solar panel to save your trouble of recharging the cameras. The cameras constantly trigger motion alarms, with the slightest change in light, shadows, sunlight when a cloud moves over, etc…BUT REALLY STINK AT ACTUAL MOTION, LIKE A HUMAN WALKING BY!!!! The last thing you want to get with motion activated hidden cameras is definitely the false alarms. The installation makes a huge difference. The motion detection will be more accurate if you put the motion detector hidden camera in the direction crossing the possible intruder instead of facing it, as the picture below shows. That’s because the PIR motion sensor will be much more sensitive to the objects when they are moving across the detection feild. You may schedule the motion detection settings to reduce false alarms. 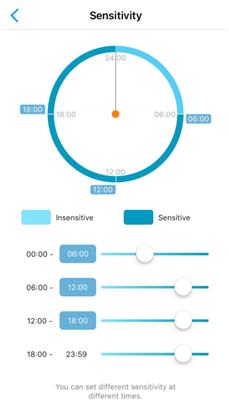 For example, you can define different motion sensitivity values for different periods of day to best match the light conditions. 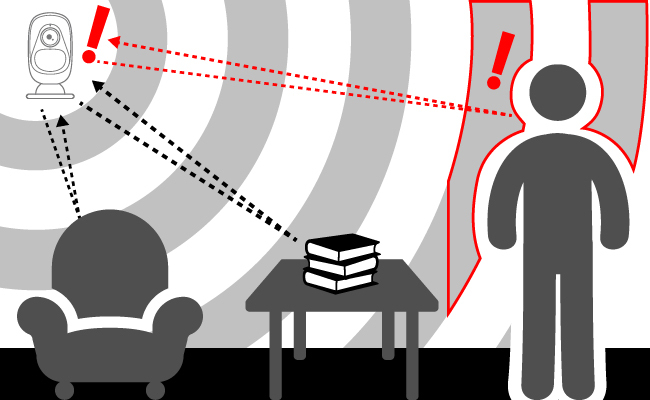 Also, you are free to choose the specific motion detection area to target certain places. According to the report, about 60% of convicted burglars stated the presence of a security camera influenced their decision. So we highly suggest you to place the motion sensing surveillance cameras in plain sight. Bonus: Also check other places to place IP cameras with motion detection. Hide small motion sensor security cameras under eaves, ceiling or soffits. Disguise the mini hidden outdoor surveillance cameras in the birdhouse. Put software-based motion sensitive cameras behind glass window (PIR sensor will not work). Disguise indoor mini hidden surveillance cameras within everyday objects, like the desk plant and book shelf. Hide motion activated security cameras near trees and brushes. Bonus: Click to learn detailed steps to hide the indoor and outdoor motion detector camera. What is the best CCTV camera that moves on activation? If you want a quick decision, choose one from these best value/budget motion sensor small CCTV cameras, all are highly sensitive to motion movements to record what you want. This motion sensor hidden camera works both indoors and outdoors (IP65 weatherproof). With smart PIR motion sensor, Reolink Argus 2 will wake up within a second to record both video and sound. And the built-in PIR sensor greatly reduces false alarms triggered by wind, sun, lights, snow, etc., so you’ll NEVER get it and only to watch the sun move across the plane of view. It is a truly wireless camera with NO wire at all to detect real PIR motion events. With camouflage skins and mini body, this spy motion activated camera is easy to hide. And compared with the outdoor motion sensor light camera, it has more security settings than at much more affordable price. 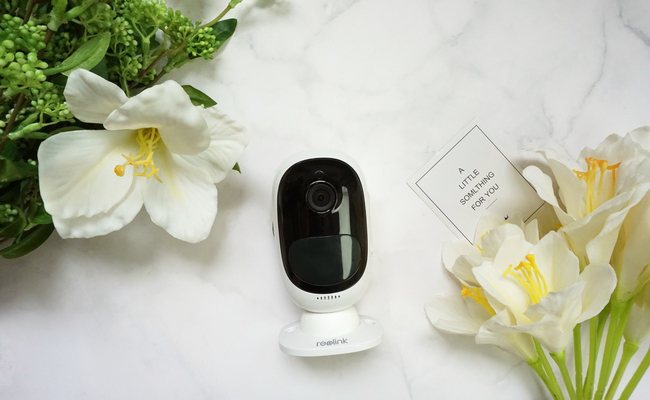 With built-in microphone and speaker, you can not only get the stream video through the motion sensor camera app, but also warn the intruders verbally if they are caught sneaking around in the act. This outdoor hidden camera performs best among the software-based motion sensor CCTV cameras. 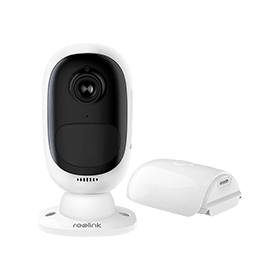 This motion sensing camera detects and records motion events at 1440p super HD resolution with audio at a very competitive price, making it the one of the Reolink hottest products. And it has a small white bullet body, only 7 inches long, and can be hidden under the eaves easily. 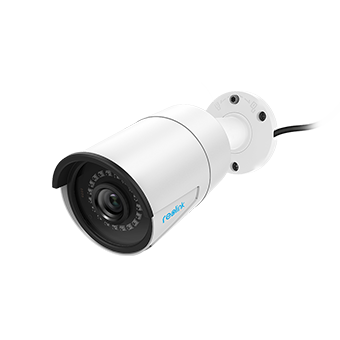 It is a plug-and-play PoE camera with advanced motion settings for accurate alerts. It supports motion sensitivity, motion zoom and detecting period adjustment and push alerts to phone. 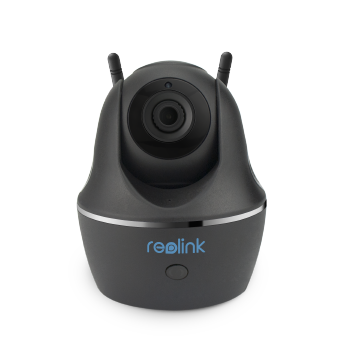 If you want a motion activated camera for indoor uses only, like watching your pets, and don’t want it to be too obvious for visitors, then the black colored Reolink C1 Pro is your best choice. This motion spy camera could be easily blind in with your home decorations, with pan and tilt function for wider coverage. You can buy the best outdoor motion detection cameras on Amazon, Ebay, or official security camera online store directly. With free shipping and online technical support, you will have no trouble getting the cameras and service in different regions of the word, including the US, UK, Australia, Canada, etc. This entry was posted in Buyer's Guide and tagged motion activated camera. Hey, Flora. I was getting too many false motion alerts on my home security system from shadows changing, leaves blowing, etc. I ended up using AI to filter the motion alerts and setup a free service for anyone else to do the same at https://www.smartalerts.io/.